This week, the Virginia General Assembly money committees will meet to discuss the finances of the Commonwealth. As lawmakers make decisions about the financial health of Virginia, a new report from the Alliance for a Just Society shows Virginia’s families are struggling. Only 26 percent of all full-time workers in Virginia earn a wage that will allow a single working parent with two children to make ends meet. More startling, only 19 percent of all women and 20 percent of all people of color working full time in Virginia earn a wage that would support two children. Women of color face the most obstacles and often have to make difficult choices to provide for their families. Fredericksburg resident Moneka Coleman knows this first-hand. Click here to read her story. 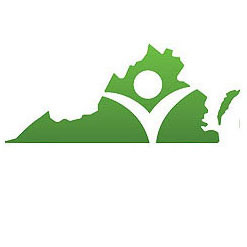 Virginia Organizing urges elected officials to expand Medicaid and close the coverage gap, which could save Virginia $161 million in the next budget year and lessen the effect of budget shortfalls, according to The Commonwealth Institute for Fiscal Analysis. In addition to closing the coverage gap, Virginia Organizing believes lawmakers should also continue funding the Children’s Health Insurance Program (CHIP), consider increasing the minimum wage, and make the Virginia earned income tax credit (EITC) refundable. Data from the Alliance’s Job Gap Study has figured prominently in debates on minimum wage, paid sick days, payday lending, Medicaid and other family economic issues in many states across the country.